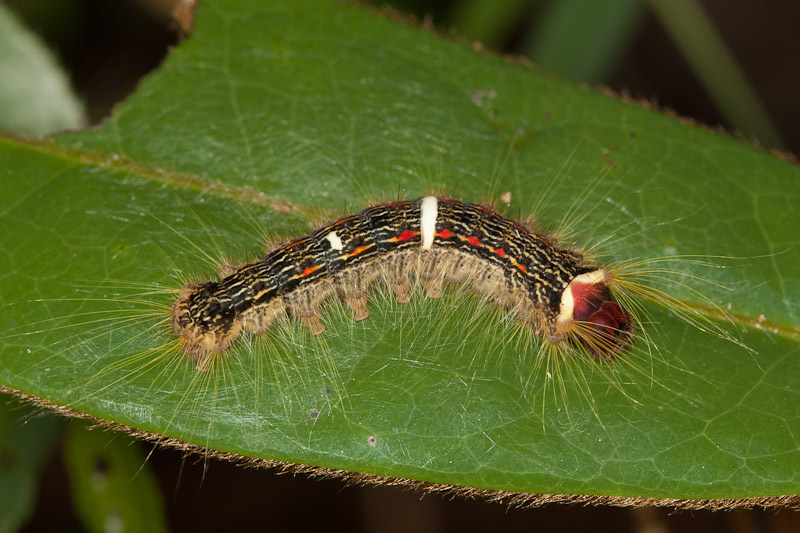 This caterpillar seems fairly distinctive, but I haven’t been able to find anything similar. The white bands are odd. I can’t decide if they are normal or evidence of an injury. Very attractive indeed. 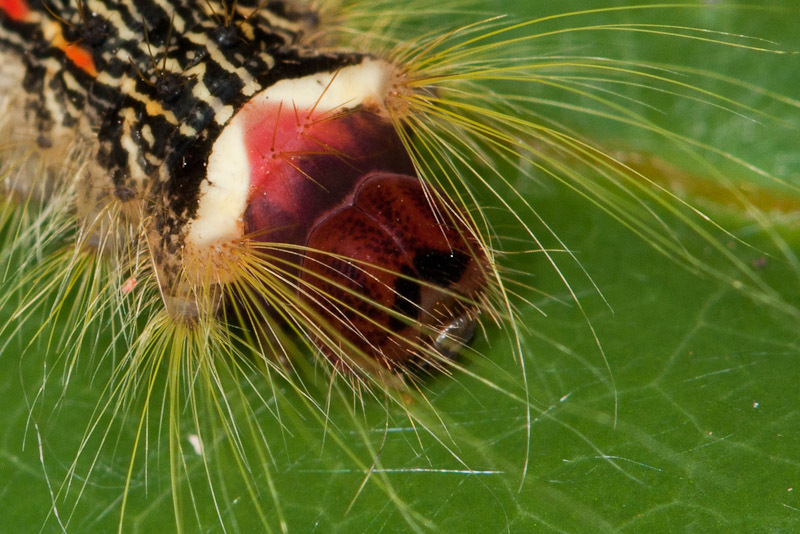 Remniscent of a gypsy moth caterpillar – maybe something in the family Lymantriidae?